As chief regulator for New Jersey’s struggling casino industry, Matthew Levinson has an interesting balancing act. The Casino Control Commission must ensure the market is free of corruption. At the same time, turning away potential investment could be viewed as counterproductive. Levinson, 33, was appointed to a five-year term as the commission’s seventh chairman in August by Gov. Chris Christie. In less than eight months on the job, he has experienced the gaming market’s financial ebbs and flows, the weeklong closure of casinos in October because of Superstorm Sandy, the emergence of online gaming giant PokerStars as buyer of a struggling Boardwalk casino, and the application of MGM Resorts International to regain its gaming license that it surrendered in 2010 after a stipulated agreement with the Division of Gaming Enforcement. Also, New Jersey lawmakers approved legislation allowing Atlantic City casinos to offer Internet gaming, and Christie has pushed the casinos to allow sports wagering, a move being fought in federal court. Caesars v. PokerStars fight for dibs on American players? Attorneys for online gaming giant PokerStars said an attempt by the American Gaming Association to block the company from buying a failing Atlantic City casino was a thinly veiled anti-competitive campaign to keep new ownership out of the market. In a lengthy letter to New Jersey gaming regulators, attorneys for PokerStars ownership, The Rational Group, said the American Gaming Association lacks standing in the matter. Attorneys also raised a reported offer by Caesars Entertainment Corp. to sell the Rio to PokerStars. According to the letter, Caesars offered to sell the off-Strip casino to PokerStars because it would better the two companies relationship and would help PokerStars earn a Nevada gaming license. 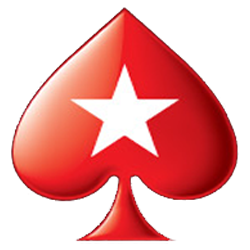 PokerStars declined the offer because it had no plans to acquire another casino in the near term, according to a letter dated March 10 from Washington, D.C., attorneys Jeff Ifrah and David Deitch. Within weeks the AGA submitted its petition to the (New Jersey Casino Control) Commission. But what will New Jersey say? Wall Street is sold on the parent company of online gaming giant PokerStars taking ownership of a downtrodden casino in Atlantic City. The question that remains is whether or not New Jersey gaming regulators will sign off on the deal. 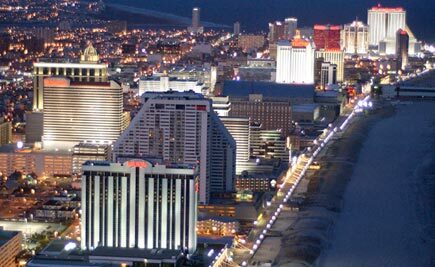 On Tuesday, Isle of Man-based The Rational Group, which owns PokerStars and Full Tilt Poker, filed papers with the New Jersey Division of Gaming Enforcement, seeking approval to purchase the Atlantic Club Casino Hotel from Resorts International Holdings. There is now a 90-day period in which the Division of Gaming Enforcement will conduct an investigation and then report its findings to the New Jersey Casino Control Commission. The casino commission will then have 30 days to hold hearings and ultimately make a determination on suitability.